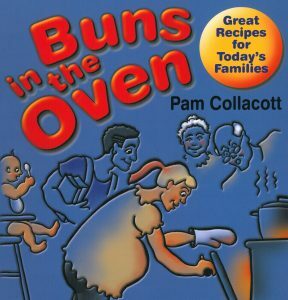 As Christmas time is coming, Pam Collacott’s 5th cookbook is a wonderful gift idea! It is a book of delicious recipes that are easy to follow and use affordable ingredients. Perfect for young families, students, seniors or anyone else who wants to make healthy, quick and great tasting food. Pam has donated all of her time for the creation of this cookbook. All of the proceeds from the sale of the books will be returned to Buns in the Oven, a prenatal nutrition program for pregnant youth. The book sells for $20.00 plus $4.00 shipping – here is the order form so get your copy today!